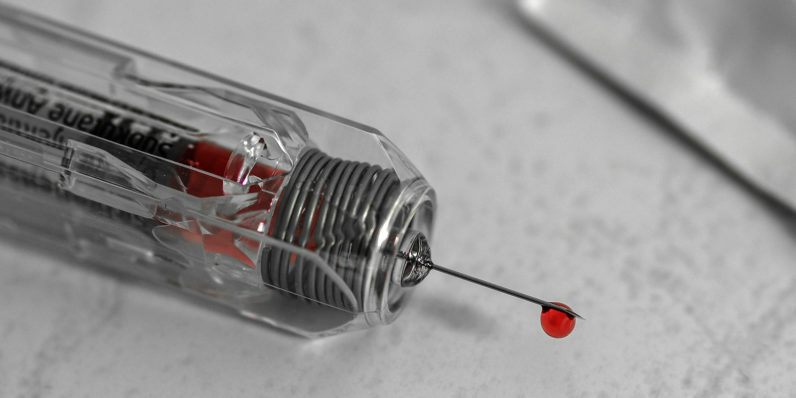 A novel new testing method uses a single drop of blood to test for 13 types of cancer. By testing for differences in the microRNA (miRNA) the test is able to accurately detect cancers of the breast, lung, stomach, colorectal tract, esophagus, liver, and pancreas, among others. “MicroRNAs constitute a recently discovered class of non-coding RNAs that play key roles in the regulation of gene expression. Acting at the post-transcriptional level, these fascinating molecules may fine-tune the expression of as much as 30% of all mammalian protein-encoding genes,” according to life sciences and diagnostics lab Exiqon. In lab tests using preserved blood samples from some 40,000 patients, the researchers were able to identify miRNA specific to these 13 types of cancer with more than 95 percent accuracy. According to the researchers, however, the test could have featured altered miRNA that had changed during the preservation (freezing) process. The team intends to do a clinical test next month using fresh blood from 3,000 people. While there are current tests on the market to test for cancer using blood samples, what makes this discovery so compelling is that it’s the first of its kind to test for multiple forms of cancer in the same test. “Patients will not need to take multiple tests. In the future, it will become possible to identify cancer stages and characteristics,” said Yet Takahiro Ochiya, head of the Molecular and Cellular Medicine Division at the NCC’s Research Institute.